Last month, I spent a week living and breathing the Silicon Valley culture. The main goal of this trip was to understand why this place is so innovative and inspires so many opportunities. We also tried to understand what makes these professionals different from us and, more importantly, how our teams can absorb this culture. The purpose of this article is to share the main lessons learned during this fruitful week. This word is in the vocabulary of all companies/people. Diversity necessarily implies different points of view. It ensures products are validated even before they leave the company. It is very important to listen to different opinions when designing a new product. Everyone waves the banner and everyone has diversity in their teams. Another significant difference. While they are at the office, professionals stay focused on the work itself. It’s hard to see idle chit-chat, long lunches, and endless coffee breaks. A more productive day enhances the quality of life and the time available for personal activities. Most of the companies we visited control completed tasks rather than the number of hours worked. We also noticed employees seldom left the office after 5 p.m.
All planned activities are delivered. The team trusts its members and knows that all tasks will be completed on time and with the required quality. This may be the biggest difference. We are way too diplomatic and spend a lot of time and energy planning what to say. We review every single email countless times, spend a long time preparing for a meeting and have great difficulty giving honest feedback because we are scared we may hurt the other person. This does not happen there. Feedback is direct and people do not waste time mincing their words. If an idea is not interesting, they do not go ahead with it. If the product is not approved, feedback is straightforward. As a result, professionals grow and improve. This is one of their strongest suits. Every professional wants to work for a company with a strong purpose. They value purpose rather than money. The best talents are driven by the impact they can make rather than only by the money they will earn. As a result, companies with a purpose always attract the best talents. Recruitment is a long and complex process. The entire team must welcome the new hire, who must be fully in line with the company’s culture. It is better to take one’s time than to rush through the process and spend time on the wrong professional. 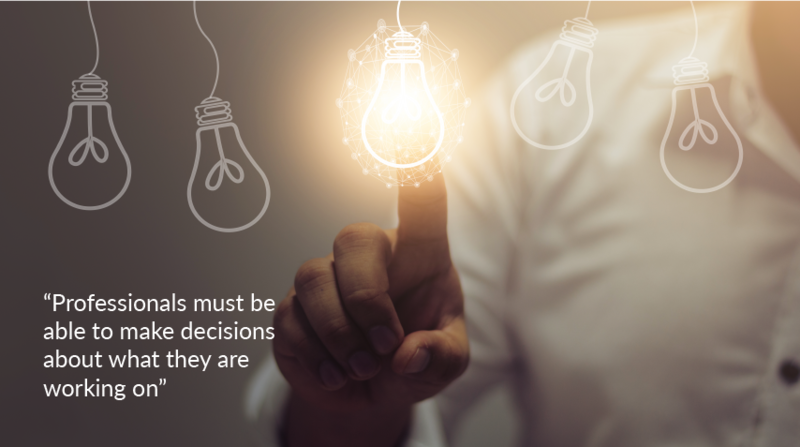 Professionals must be able to make decisions about what they are working on. The old approval hierarchy, inflexible processes and the inability to voice opinions are all major hurdles for companies that want to innovate. This is the word that best describes what we saw that week. In order for our teams to be able to absorb the Silicon Valley culture, we must change our mindset – and there is no recipe for that. We need to truly believe that the above characteristics are important and incorporate them into our daily lives in order to put what we have learned into practice. Only attending objective meetings, avoiding long coffee breaks, refraining from spending energy criticizing situations, working towards a bigger purpose and solving problems in an agile manner are the main characteristics we should put into practice every day. If we incorporate this into our routine, we will be closer to experiencing what we saw in the Silicon Valley. The process of change is not simple. It should come from the inside out so that we can influence those around us. As with all change, we will surely find problems and resistance along the way. However hard it may be, we must leave our comfort zone and change our attitude. Being in the Silicon Valley is having the opportunity to experience the future. It is entirely up to us to change in order to be prepared. We have already begun the change process in our company and we will put all these lessons into practice. While being aware of the difficulties, we are confident this new model will bear great fruit. After all, there is no point in acquiring knowledge if we do not apply it to our daily lives.